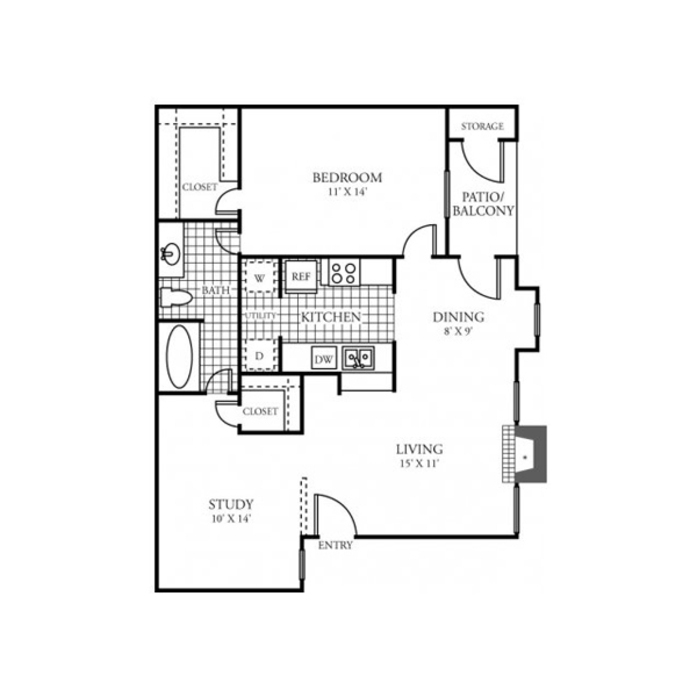 The floor plans in our Northwest Houston, TX apartments offer the perfect mix of storage and space. Brookfield Apartments offers a variety of one- and two-bedroom apartments to fit your needs. View the different floor plans above and contact us to schedule a tour today!